Federal University of Technology, Akure [FUTA] Re-Schedule Computer Based Test Second Semester Examination Time-Table for 2017/2018 Academic Session. 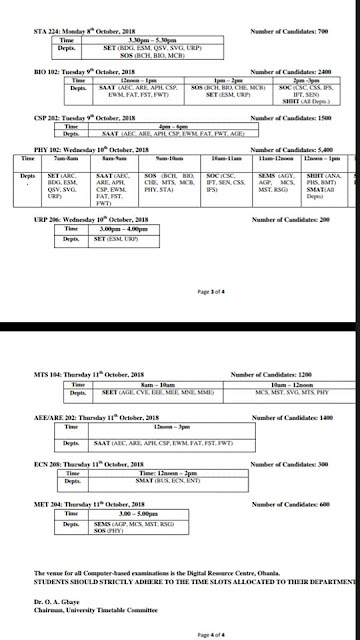 Authorities of the Federal University of Technology, Akure [FUTA] after Postponement of the 2nd Semester Examination to October 3rd, 2018 has released Re-Schedule Computer Based Test Second Semester Examination Time-Table for 2017/2018 Academic Session. 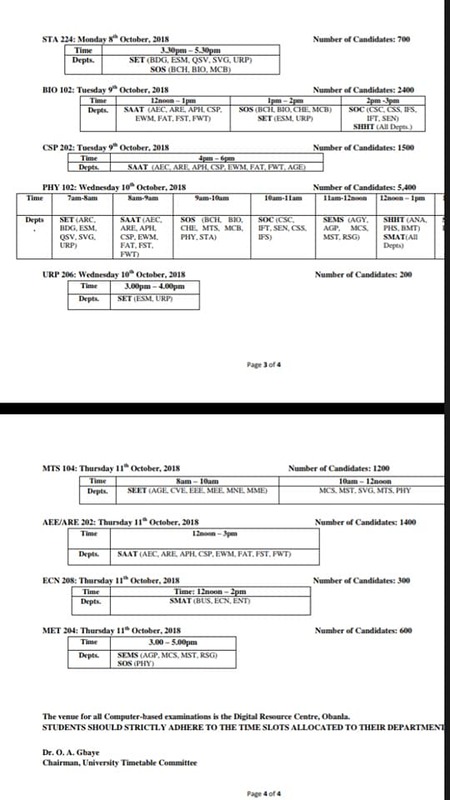 FUTA 2nd Semester Examination for 2017/2018 Session is expected to commence on 3rd October and Ends on Thursday 11th October, 2018. 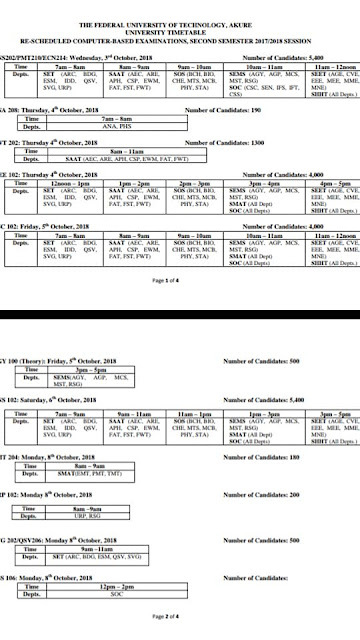 Students should strictly adhere to the time allocated to their departments.